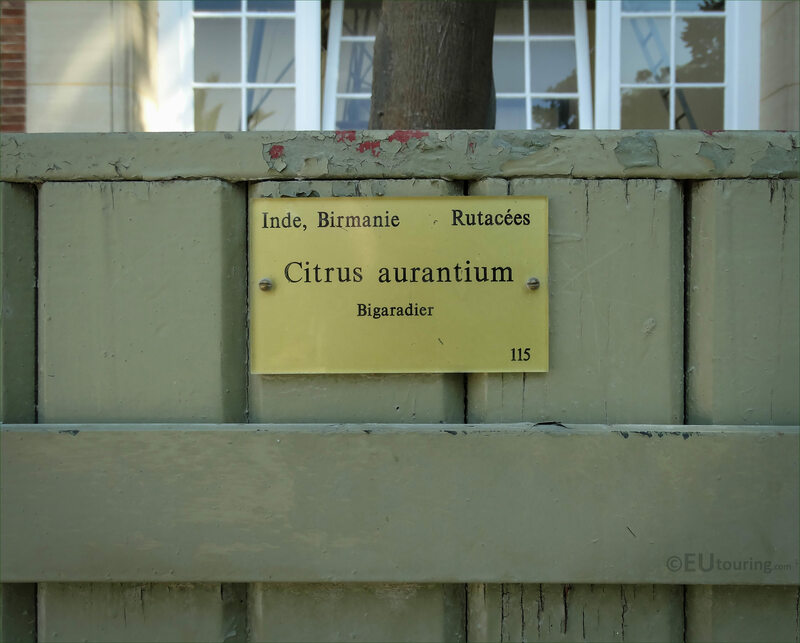 These high definition photos show the Pot No 115 holding another variety of plant called the Citrus Aurantium, or Bitter Orange, within the Jardin du Luxembourg, which is located in the 6th Arrondissement of Paris. 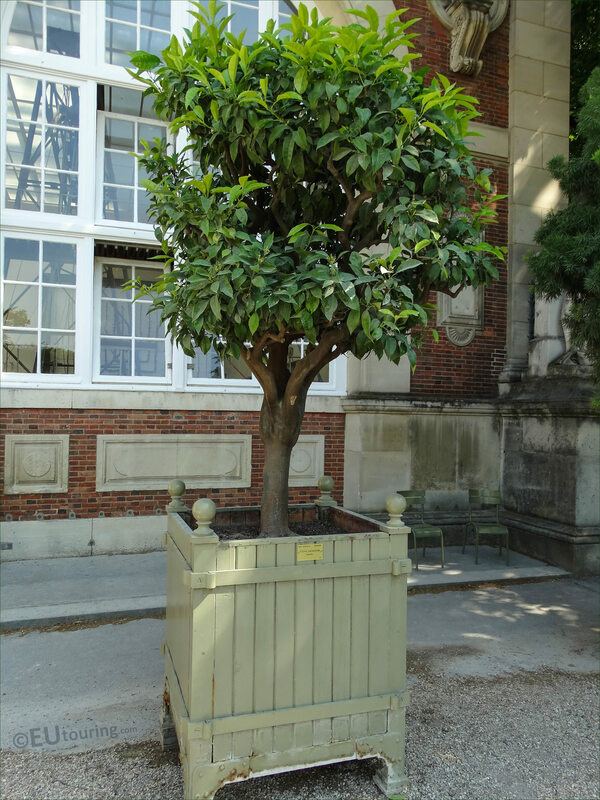 Now this particular tree was put in position just outside the Orangerie within the Luxembourg Gardens, which is where this and many other plants are stored inside during the winter months due to the climate in Paris, compared to where it would grow more naturally with milder weather. 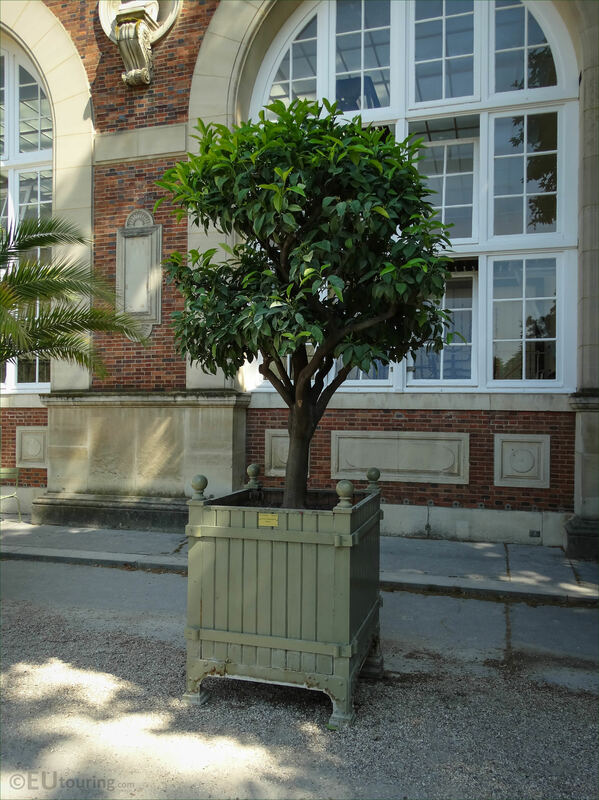 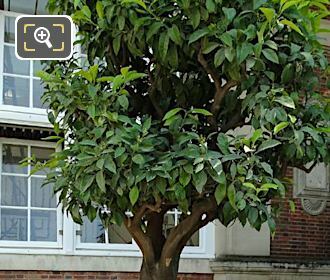 But this next photograph shows the tourist information plaque attached to the plant pot, stating the botanical name, yet at the top you can see they have stated the places India and Burma, yet the bottom writing states in French Bigaradier, which basically means this is a Bigarade citrus tree. 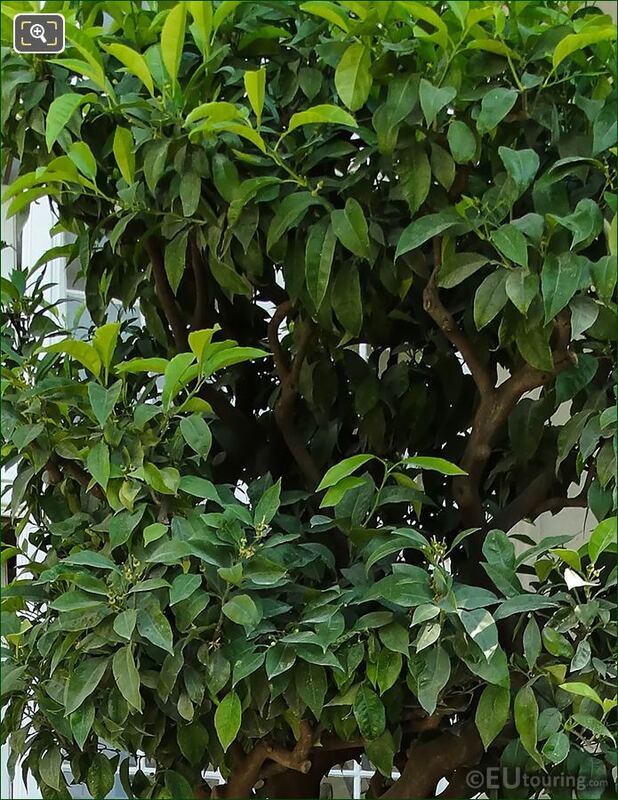 So although there were no oranges to be seen on the tree when we took this close up photo you can see the leaves, stems and even where the flowers form, yet Citrus Aurantium is not just referred to as Bitter Orange, but there are different versions. And the fact that the plaque mentions the Bigarade version, this is also commonly known as the Seville Orange grown throughout the Mediterranean, which is mainly utilised for the production of marmalade, and Seville in Spain ships large quantities to Britain yearly for it to be used for marmalade, although this version of citrus tree is also used in orange flavoured liqueurs.